Consumers of telecom services who are dissatisfied with services rendered to them by any of the operators have a right to redress the situation through formal lodging of complaints to the NCC. Please read carefully the procedures, which are outlined hereunder in form of frequently asked questions and answers. QUESTION: What is the first thing a dissatisfied Consumer of telecom services should do in order to get his/her problem resolved? Answer: He/She should first of all contact the service provider whose services or product he/she is not happy or satisfied with and obtain a complaint ticket number. In the event that the issue is not satisfactorily resolved by the service provider, the consumer can call the NCC Contact centre toll free number (622) to lodge his/her compliant. QUESTION: How can a dissatisfied consumer lodge a complaint? 1. Completing a Consumer Complaint form (CCF) which can be obtained on the Consumer Web Portal (CWP) (www.consumer.ncc.gov.ng) or any of the NCC offices listed below. 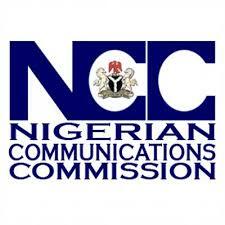 The Consumer Complaint Form must be complete and sent to the NCC. 2. Writing a letter to NCC which must be either hand or type written, legible, and concise and no more than two (2) A4 pages. The letter must be signed by the dissatisfied consumer. 3. Calling the NCC Contact Centre toll free number 622 to lodge your complaint providing ticket number given by operator. Agodi GRA, Ibadan, Oyo State.